Watching Your Diet But In A Hurry? 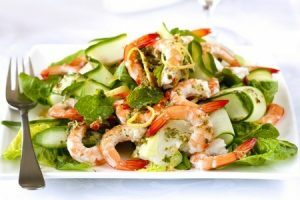 Whip Up This Prawn and Avocado Salad! This simple and healthy salad only takes a few minutes to put together, making it ideal as a mid-week, low calorie meal. Prawns are a great, low-fat source of protein that also contain iron, zinc, selenium and vitamin B12. Watercress is known as a ‘healing herb’ and has high levels of calcium than milk, more iron than spinach and more vitamin C than oranges. It’s also full of vitamin K which helps to develop strong bones and prevent Alzheimer’s disease and vitamin A to keep your eyes healthy and your immune system function properly. The simple lime and avocado oil dressing adds flavour while keeping a check on the total calories added. Topped with sliced avocado to keep your skin healthy and you feeling full, this salad will have you excited for lunch time! To make the dressing, combine lime juice, avocado oil, salt and pepper and whisk to combine. Divide the watercress between 2 bowls. Lay sliced avocado across watercress and top with fresh prawns. PreviousCan Fitness Wearables Help Up Your Game? 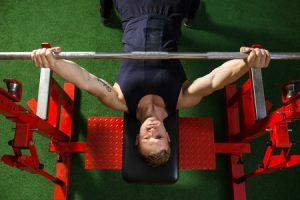 NextFitness Watches – Isn’t It Time To Ramp Up Your Training?